Improving your application process starts with putting yourself in the candidates’ shoes and walking through the experience yourself. Many times the urge to capture more and more data from candidates has the effect of driving candidates away. Shortening the application process to focus on what is truly necessary is one of the first steps forward in improving candidate experience. Every candidate lost due to a poor process costs your company money and harms your employer brand. Learning how to think like a candidate. Learning what short-term actions you can take to start making an impact. 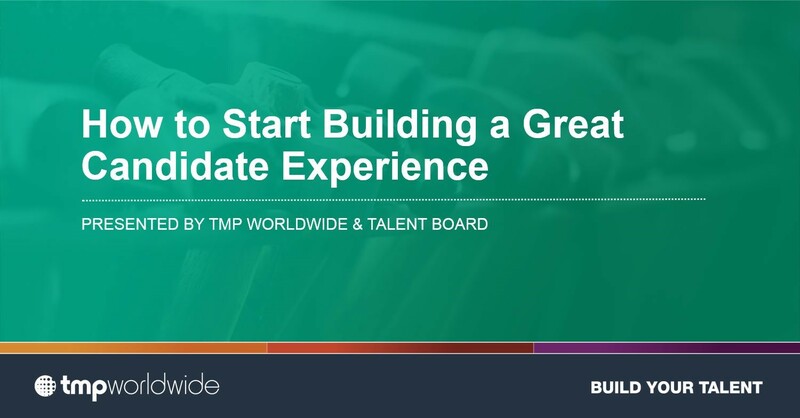 Seeing what other companies are doing to create great candidate experiences.